A parking garage that partially collapsed in Irving late Tuesday morning, collapsed a second time on Tuesday afternoon. The first collapse happened at about 11:30 a.m. in the 4500 block of Fuller Drive. The second collapse happened just before 4:30 p.m. Tuesday. Twenty-one vehicles were involved in the first collapse, the Irving Fire Department said. Video from Texas Sky Ranger showed cars both on top and under slabs of concrete that collapsed from a top floor. Other vehicles were piled against one another. Irving fire officials just confirmed no one was injured in either collapse. The second section of garage to collapse was adjacent to the first. 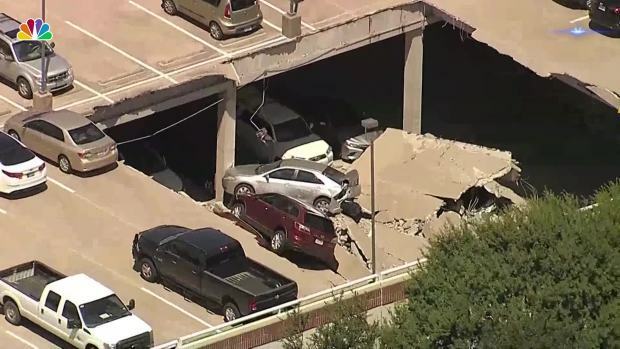 A parking structure in Irving, Texas, collapsed twice on Tuesday. The first collapse occurred around 11:30 a.m., the second around 4:30 p.m. Some car owners were allowed to pick up their vehicles one-by-one if they were parked in sections of the garage furthest from the collapsed area. The fire department says no one was in the garage when the second collapse happened. No more vehicles will be moved from the garage, according to fire officials. “There are no visual victims in any of the cars we can physically get to,” Irving Fire Department Assistant Fire Chief J. Taylor said of the initial collapse. "It may be a couple of days before we get to them [the cars]. It's a bit of a challenge," Taylor said. The cause of both incidents are under investigation. Officials from the Occupational Safety and Health Administration (OSHA) are investigating, as well. As a civil engineer with Architectural Consulting Engineers of Colleyville, Benjamin Thompson has conducted forensics engineering investigations similar to what will happen here in coming days. "The number one thing we want to know as engineers is how did this happen and how are we going to prevent it in the future," said Thompson. Witnesses said they heard a loud crash and could see dust and debris rising from the tree tops around the parking garage. Clifton said he and his co-workers raced outside to see if they could help anyone who was trapped. “The whole time we were over there all I could think was if I found someone I was hopeful they were alive and that I’d be able to get them out,” said Clifton. Taylor said the timing of the first collapse was fortunate. The garage provides parking for professional offices in Irving. 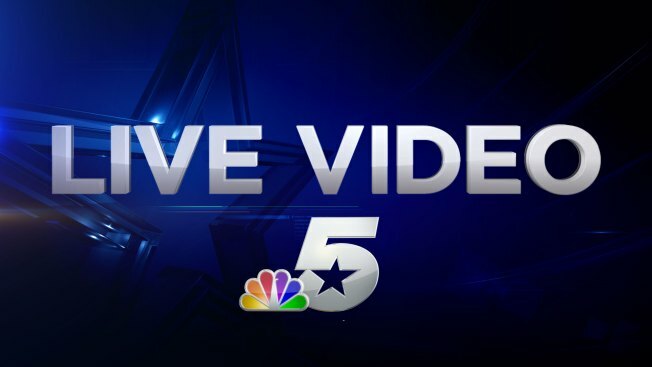 The collapses are reminiscent of the one that happened at an Uptown Dallas residential parking garage at the Renaissance on Turtle Creek in 2015.